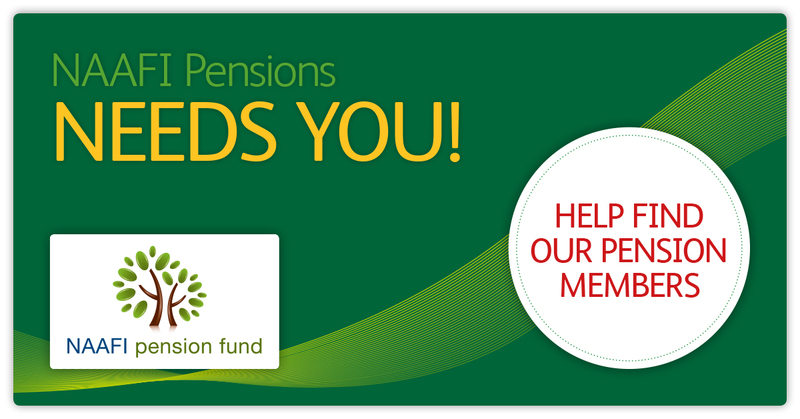 The Homepage provides all the basic details regarding your membership of the NAAFI Pension Fund. Click on the menu options on the left hand side of this page to access further details and literature relating to your membership of the NAAFI Pension Fund. This website provides you with the facility to access your own personalised pension information, allowing you to securely view and check your pension record online in respect of the NAAFI Pension Fund. The specific functionality available to you will depend on your current membership status. This website also provides you with access to further details regarding the NAAFI Pension Fund, the option for you to either update information or submit queries regarding your records, together with an online mailbox holding any electronic correspondence. Already a member and registered? Then please use the login facility above. If you are a member of NAAFI Pension Fund and this is your first visit to the site, you will need to register in order to gain access. You will be asked to provide certain personal details that will verify that you are a member of the NAAFI Pension Fund. If you have forgotten any of your access details (login name, password or PIN Number) you can request a reminder. The NAAFI Pension Fund records held by Capita are missing up to date data for some members who could be eligible for pension benefits. If you know someone who has worked for NAAFI, please direct them to this site, where they can log on and re-connect with the NAAFI Pension Fund.